The DWI meaning is a common term used in drunk driving incidents. The DWI definition is an abbreviation for “driving while intoxicated” or "driving while impaired". The term refers to the offense or crime of an individual who drives or operates a motor vehicle while he or she is under the influence of alcohol, drugs, or an unknown substances. ​DWI is highly regulated by the government ​by enacting laws and regulations to deter ​people from​ driving while impaired. States regulate driver’s level of intoxication by measuring the blood alcohol content or BAC. A BAC measurement of 0.05% or 0.08% is a criminal offense. In some states, a BAC level higher than 0.08% will subject the driver to a higher penalty. ​It is important to know the DWI meaning and to also realize that there is a difference between a DUI and a DWI. Despite efforts from the government to prevent drunk driving related incidents from happening, there are still of a lot cases of DWI's happening in the country. In fact, 3,952 fatally injured drivers tested positive for drug involvement. ​Moreover, in 2012, 29.1 million people admitted to driving under the influence of alcohol. 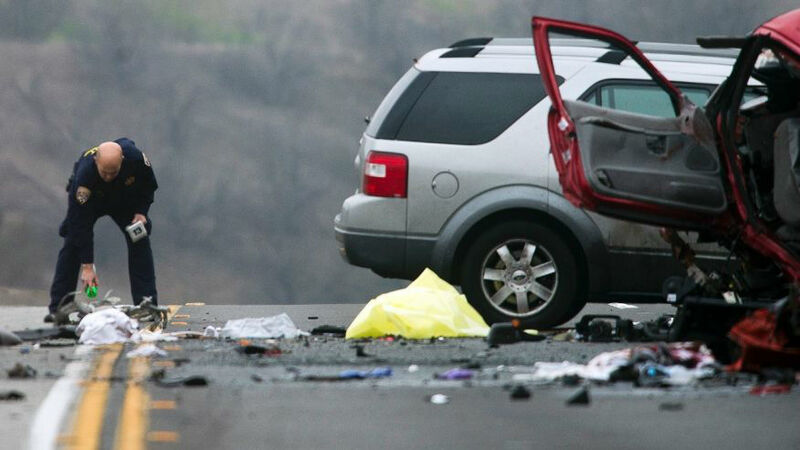 Car crashes are the leading cause of death for teens. Shockingly, approximately ​25% of those crashes involve an underage drinking driver. According to the Federal Bureau of Investigation, over 1.​1 million drivers were arrested in 20​15 for driving under the influence of alcohol or narcotics. Driving is an activity which requires a person to be attentive and have the ability to make quick and good judgments. The DWI meaning implies that your ability to do just that is impaired by drugs or alcohol.​ On the road you will need to be able to execute decisions related to those judgments. ​However, there are certain factors which affect a person’s ability to drive well and to avoid accidents. These factors decrease a person’s cognitive ability and muscle coordination. ​You should, at all costs, avoid these substances before getting behind the wheel. The most ​causes for impairments are listed below. Alcohol is a well-known depressant. It is particularly harmful for drivers because it slows down the functions of the central nervous system, which means that normal brain function is delayed. Therefore, when a person is drunk, ​they are unable to perform normally. ​Additionally, alcohol negatively affects a person’s cognitive and psycho-motor skills. With all these negative effects, consuming alcohol before driving is considered dangerous and reckless​. The greater the amount of alcohol consumed, the more likely a person is to be involved in an accident. ​Because of the effects of alcohol, states regulate the activity of drivers in relation to drinking. However, state laws and its application vary. ​For the DWI meaning is this, in most ​states, a person's first DWI charge results in an automatic suspension or revocation of the offender’s license. The length of the suspension in the various states ranges from 45 days to one year depending on the violation. In addition, 43 states require offenders to install ignition interlocks on their vehicles​. ​Lastly, in 29 states, a stricter penalty is imposed​. DWI offenders ​are subject to forfeit the vehicles they were operating on during the incident. ​Just like drunk driving, drugged driving also ​very dangerous to public safety. ​This is because drugs adversely affect motor skills, memory, judgment, and reaction time. ​According to studies, 18% of fatally injured drivers tested positive for at least one drug. ​The drugs include illegal, prescription or over-the-counter. This gives you a more broader DWI meaning when drugs are included. ​Some interesting findings one should note are men are more likely than women to drive under the influence of an illicit drug or alcohol​. Young adults in the 18 to 25 year-old age group are more likely to drive after taking drugs than any other age group. ​Similar to drunk driving, drugged driving is highly regulated by all states. All fifty states of the United States, and the District of Columbia have laws specifically for drugged drivers. ​One-third of the states have adopted the per se standard​. This standard states that any presence of a prohibited substance or drug in the driver's body is prohibited while the driver is in control of the vehicle. This prohibition applies even without any other evidence of impairment. ​Marijuana is the second most commonly used drug and is also most associated with drugged driving. Marijuana contains THC, a high producing element, which affects parts of the brain that govern motor skills​. The motor skills impaired include body movements, balance, coordination, ​mental ability​, memory and judgment. ​There ​has been a lot of studies which unanimously showed that marijuana negatively affects a driver’s attentiveness, perception of time and speed. Marijuana also effects your ability to draw on information obtained from past experiences. ​Moreover, research also shows that impairment of one’s cognitive ability increases drastically when a person consumes both marijuana and alcohol. This combination is a very deadly one which give the DWI definition a whole different one. ​Aside from traditional DWI meaning of drunk driving and drugged driving, there are also two other types of dangerous driving ​you need to avoid. ​They are driving under the influence, or also known as DUI, and distracted driving. ​Driving under the influence is a tricky concept especially if it is used in conjunction with DWI​. DUI is the crime of driving a motor vehicle while impaired by alcohol or drugs, even including those prescribed by physicians. One way to know the difference between DUI and DWI is by checking the states drinking and driving laws ​to know which situation apply to which crime. With the advent of different technologies and gadgets used by many, distracted driving incidence has been increasing at an alarming late. This gives the DWI meaning a different level of complexity. ​Distracted driving activities include things like using a cell phone, texting, and eating. Using in-vehicle technologies, such as navigational applications, music and video platforms, and even social media​ ​are also sources of distraction. ​There are three types of distraction, namely: visual -- taking your eyes off the road; manual -- taking your hands off the wheel; and cognitive -- taking your mind off of driving. Out of all the distractions available to a driver, texting is considered the most common and the most dangerous because it combines all the three types of distraction listed above.